FERGUSON, BARTEMAS (Bartimus), newspaperman and printer; b. c. 1792 in Vermont; m. with at least five children; d. 19 Jan. 1832 in York (Toronto), Upper Canada. In 1818 Ferguson moved to Niagara (Niagara-on-the-Lake), where by 6 August he was printer and publisher of the Spectator. Under McKenney, the Spectator had supported the agitation of Robert Gourlay*. Nothing changed under Ferguson; he, too, obviously sympathized with Gourlay’s efforts, for he continued the policy of printing the Scot’s blasts against the government. This action was fraught with peril. 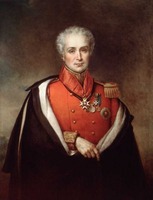 Gourlay was already awaiting trial on two separate counts of seditious libel; moreover, his “Upper Canadian Convention of Friends to Enquiry” of early July had deeply alarmed the administration of Lieutenant Governor Sir Peregrine Maitland*. When on 3 Dec. 1818 the Spectator (by then published jointly with Benjamin Pawling*) printed Gourlay’s article “Gagg’d-Gagg’d, by Jingo!,” the stage was set for confrontation. Gourlay was ordered from the province and upon his refusal arrested. Ferguson was jailed overnight on 16 December and released the next day on a technicality. Pawling, who had been charged with Ferguson, died on the very day his colleague was arrested. Ferguson now again assumed sole control of the Spectator. A committed Gourlayite, he continued unabashed in his support of the imprisoned Scot. On 1 July 1819 the paper carried Gourlay’s “Address to the parliamentary representatives.” A short time later the House of Assembly unanimously passed a motion calling upon Maitland to order the prosecution of the author and publisher. Ferguson was arrested on the night of 13 July. Undaunted by the experience of several days’ imprisonment, he was confident of acquittal and depicted himself as the champion of a free press. Just before his trial he suffered a setback on another front: Amos McKenney obtained a judgement of £1,000 against him in civil court. Ferguson appeared at the Niagara assizes on 19 August before Chief Justice William Dummer Powell on a charge of seditious libel. A special jury was picked and the case was prosecuted to a rapid conclusion by Attorney General John Beverley Robinson*. In spite of what was, in Robinson’s opinion, “an able defence” by Ferguson’s counsel, Ferguson was found guilty by what Gourlay called a “weak jury” and held over for sentencing until 8 November at York. There has been some confusion as to the identity of Ferguson’s counsel. What seems most likely is that Bartholomew Crannell Beardsley* defended him at the trial and Thomas Taylor acted as his counsel at sentencing. In any case, the defence was unsuccessful and Ferguson was sentenced to a fine of £50 provincial currency, imprisonment for 18 months, and the pillory for one hour daily during the first month of incarceration. Moreover, at the expiration of his jail term, he would not be released until he had given £500 in sureties for his good behaviour over the next seven years. Through the intervention of Maitland, however, Ferguson escaped the pillory. Ferguson’s conviction was the turning-point in his life. He lost his paper; his family suffered; his health failed; and his spirit was broken. The stress proved too much to bear and, on 4 March 1820, he petitioned the assembly in chastened tones to urge royal clemency for the remainder of his sentence, claiming that his punishment would “operate as an example to all others who may violate the laws of public decency.” Satisfied of his contrition, the assembly, despite the opposition of Robert Nichol, recommended a pardon and the administration concurred. 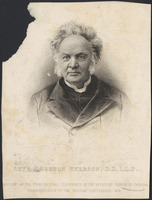 Upon release, he was quick to take up his calling again and by 2 November, in partnership with one Davidson, was printer and publisher of the Canadian Argus, and Niagara Spectator, which soon failed. Ferguson moved to Lewiston, N.Y., where by 6 July 1821 he was publishing the Niagara Democrat. Although no copies are extant, Ferguson’s prospectus was reprinted in several Upper Canadian newspapers. Its politics, he declared, “will be purely democratic.” Thomas Dickson reported to the government that the paper was “circulated here . . . and libels some of the first characters in the province.” Dickson wondered whether Ferguson should be arrested if he entered the province. In an 1822 report to the Colonial Office on Gourlay, Robinson damned the paper for traducing “every respectable person in the Province.” How long Ferguson continued to publish the Democrat is not known. 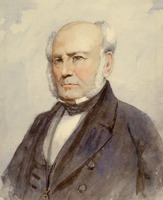 In 1826 he appears at York, first on 2 February as one of the subscribers to a fund in support of Robert Randal, later managing the Colonial Advocate in William Lyon Mackenzie*’s absence. The following year he surfaces in York again as the unsuccessful defendant in a civil action for debt amounting to £412. Ferguson’s love was newspapers and on 24 Jan. 1828, with Edward William McBride as co-publisher, he put out the first issue of the Niagara Herald. Again the venture proved short-lived. A dispute with the paper’s proprietor, John Crooks, led to Ferguson’s ejection in late October 1829. As was usual when the Ferguson family found themselves in dire financial straits, Mrs Ferguson promptly opened a millinery and mantua shop. This time, however, Ferguson’s prospects looked more promising. The Hamilton region had lacked a paper since George Gurnett* moved to York in 1829. Encouraged by offers of financial support from several “patriotic individuals,” Ferguson had moved to Hamilton by early November. The publication of the first issue of his Gore Balance on 12 Dec. 1829 heralded an era of vigorous newspaper publishing in Hamilton that was to last about 15 years. Like Ferguson’s other efforts, however, the Balance did not last long. In spite of Ferguson’s success in expanding the number of subscribers from fewer than 100 to more than 400, the paper ceased publication on 2 Dec. 1830 and was sold soon afterwards. The press and type were sold to the Western Mercury. In spite of its short duration and the problems that plagued its brief life, the Balance is notable because it captured the spirit of the emerging political culture of the boisterous entrepôt at the Head of the Lake (the vicinity of present-day Hamilton Harbour). The defining characteristic of local politics in Hamilton from the 1820s to the present has been an unbridled enthusiasm for economic development combined with only a passing concern for political reform. Ferguson was the first to give voice to this attitude, which later received classic expression in Robert Reid Smiley*’s Hamilton Spectator. At a time in the province’s political history when an editor of a whiggish bent had any number of issues on which to lash the government, Ferguson all but abandoned the concerns of his youth. In part, this transformation can be explained by changes in the colony’s political life. It also seems likely, however, that his brush with authority had made him extremely reluctant to tilt at government windmills. He now applauded the measures initiated by his old antagonist, John Beverley Robinson, to implement a provincial strategy for economic development. He also supported Willson and Allan Napier MacNab* and spared nothing in his mordant attacks on Egerton Ryerson* and Mackenzie. AO, RG 22, ser.126, vo1.9, 5, 8 Nov. 1819; ser.131, 1: ff. 159, 168, 174; 2: ff.175–76; ser.134, 5: 4. PAC, RG 5, Al: 21671, 22096–97, 26593–95. PRO, CO 42/369: 162, 167. R. [F.] Gourlay, General introduction to “Statistical account of Upper Canada . . . ,” in connexion with a reform of the corn laws (London, 1822), xii–xiii. “Journals of Legislative Assembly of U.C.,” AO Report, 1913: 255–58. Town of York, 1815–34 (Firth), 97–98. Canadian Argus, and Niagara Spectator (Niagara [Niagara-on-the-Lake, Ont. ]), 6 Aug. 1818–2 Nov. 1820. Canadian Freeman, December 1829–January 1832. Christian Guardian, 25 Jan. 1832. Colonial Advocate, 10 June 1824, 20 Jan. 1832. Gleaner, and Niagara Newspaper, 24 Oct.–7 Nov. 1829. Gore Balance (Hamilton, [Ont. ]), 12 Dec. 1829–2 Dec. 1830. Kingston Chronicle, 3 Sept. 1819, 6 July 1821. Niagara Herald, 24 Jan. 1828–September 1829. Western Mercury (Hamilton), 20 Jan. 1831–26 Jan. 1832. Lois Darroch Milani, Robert Gourlay, gadfly: the biography of Robert (Fleming) Gourlay, 1778–1863, forerunner of the rebellion in Upper Canada, 1837 ([Thornhill, Ont., 1971? ]), 184–85, 195–99, 206, 210, 212–13. W. R. Riddell, “The first law reporter in Upper Canada,” Canadian Bar Assoc., Proc. (Toronto), 2 (1916): 139–40; “Robert (Fleming) Gourlay,” OH, 14 (1916): 5–133. W. S. Wallace, “The periodical literature of Upper Canada,” CHR, 12 (1931): 4–22. Robert Lochiel Fraser, “FERGUSON, BARTEMAS,” in Dictionary of Canadian Biography, vol. 6, University of Toronto/Université Laval, 2003–, accessed April 19, 2019, http://www.biographi.ca/en/bio/ferguson_bartemas_6E.html.